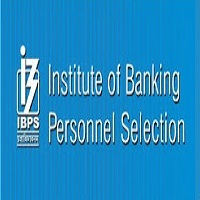 Institute of Banking Personnel Selection (IBPS) invites Online Application for CWE PO/MT-VII for the post of 3247 Probationary Officer/ Management Trainee in Nationalized Banks and Any other bank or financial institution. Common Written Examination will be conducted online by the Institute of Banking Personnel Selection (IBPS) tentatively in October / November 2017. Apply Online before 05 September 2017. The result should have been declared on or before 05.09.2017. How to Apply : Candidates are required to apply online through IBPS website http://www.ibps.in/ between 16.08.2017 to 05.09.2017.